Well I’ve been blogging for over a year now and I’ve only just realised I’ve never actually done a monthly favourites post! I’m not sure why, I always read other bloggers’ posts. I think I just never got round to it – and I’m never organised enough either! This is something I’d really like to start doing though – I love the idea of a round up of my favourite items for the month. Most of my favourites I’ve blogged about already but there are a couple in here that I haven’t had a chance to tell you about yet. 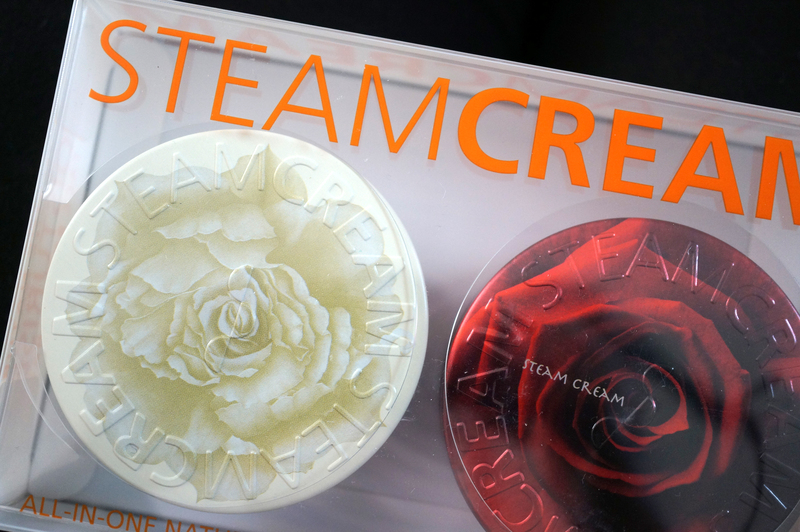 So first up is the fabulous Steam Cream. I’ve been using this every day since it arrived in the post and my skin can’t get enough of it! It’s super moisturising and leaves my tired skin feeling hydrated and happy! 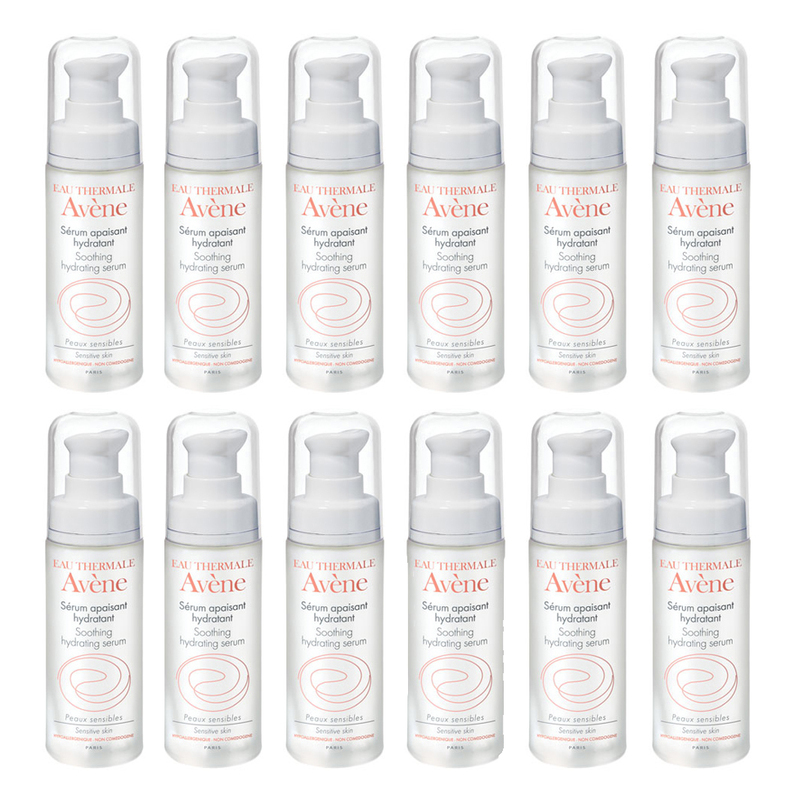 Avene Soothing Hydrating Serum – I’ve been throwing this on after moisturising and again, my skin just loves it! The cooling effect of the serum is heavenly and my skin has just been drinking this product up! 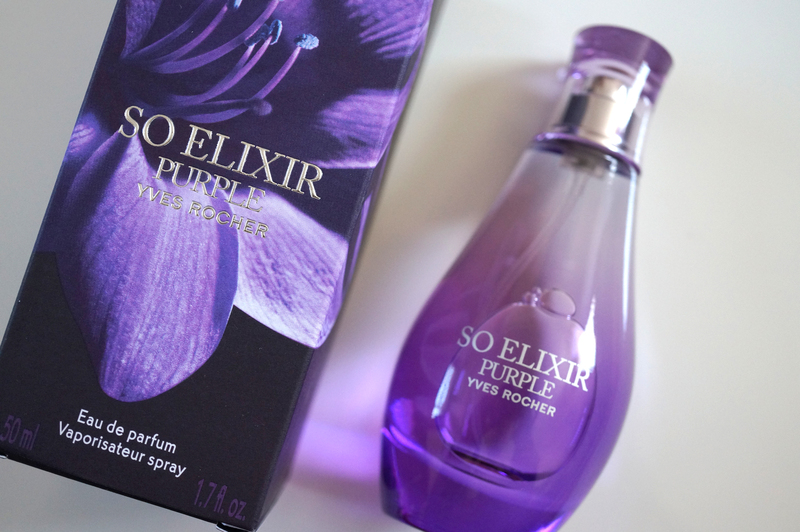 Yves Rocher So Elixir Purple EDP – Another every day favourite. This perfume is spot on for me; floral, but not too girly, and light enough to wear every day. I’ll be sad when it runs out! Hask Macadamia Oil Moisturizing Shampoo, Monoi Oil Nourishing Conditioner and Macadamia Oil Exotic Shine Treatment, from Primark. These three unsupposing and inexpensive products have been working wonders for my hair this last month. The shampoo smells divine, and the conditioner smells of coconuts (just like a Sienna spray tan if you’ve ever had one) My hair is definitely feeling stronger and a lot less dry after using these three! 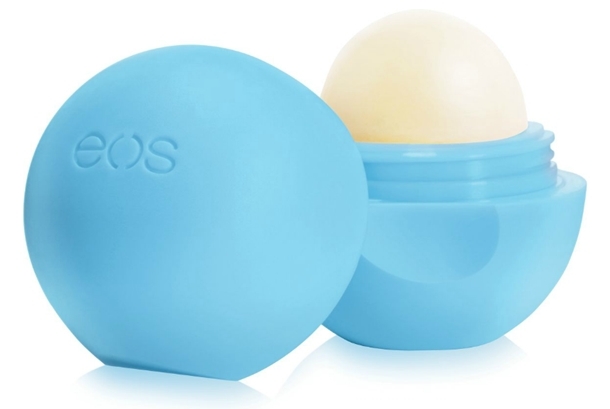 EOS Blueberry Lip Balm – I’m a bit of a newbie to EOS, I know they’ve been around for a while but I’ve only recently bought this lip balm, and I have to say I’m really impressed! It sits on my desk at work and I apply a few times a day. My lips have definitely never felt so good! 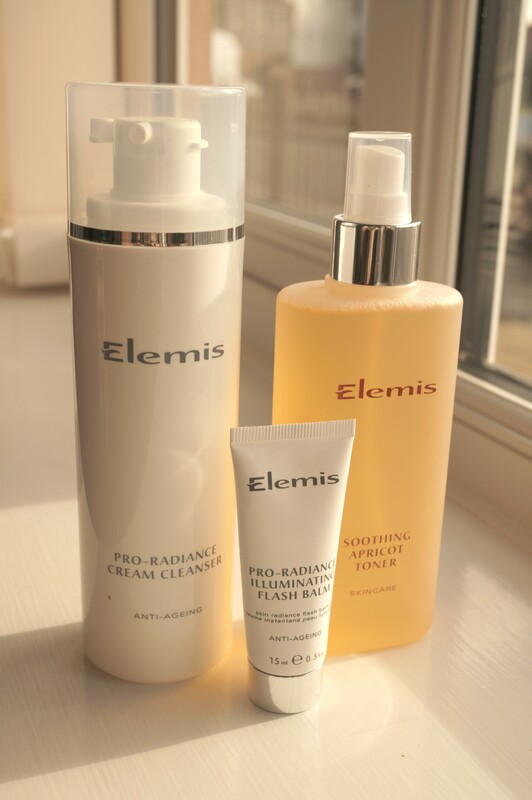 The Elemis Radiance Collection in Illuminating, does exactly what it says on the tin. My skin feels clean, fresh and glowing after using these products – I can’t recommend them enough! And lastly, MAC Heroine Lipstick. This is definitely a keeper! 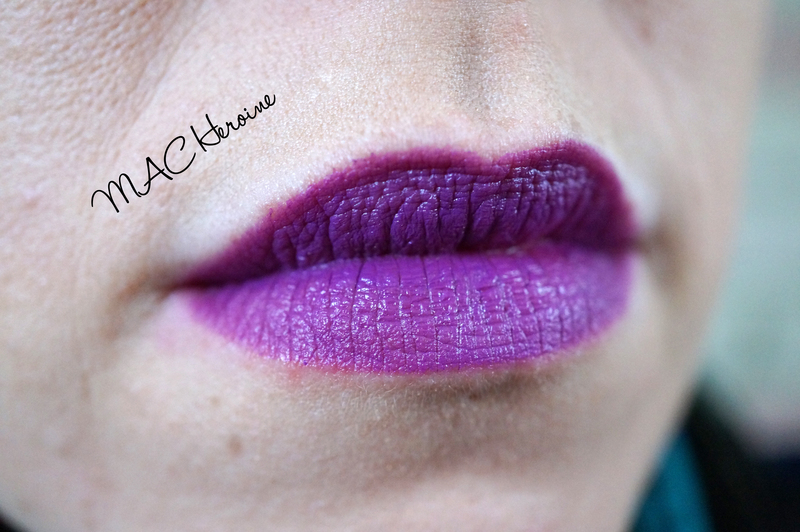 The most fabulous, in your face, vibrant matte purple lipstick. And it doesn’t dry your lips out, result! So I think that’s about it for April’s favourites, I’d love to hear if you’ve tried any of these products? Next Post Makeup Revolution – The Purple Edit. I’m yet to try Steam Cream or eos but they’re both products I’d like to give a whirl!